For many hunters, big game seasons are winding down, but it's time to start planning for next year. If you are planning to go on a guided hunt out west, you may encounter the use of horses and/or mules to get into the high country. One of the benefits of using an outfitter is the fact that they should be able to get you to the good hunting areas. Sometimes this means a two-hour ride and other times it means a 12-hour ride up mountain trails. This is something you should ask when you are booking a guided hunt. 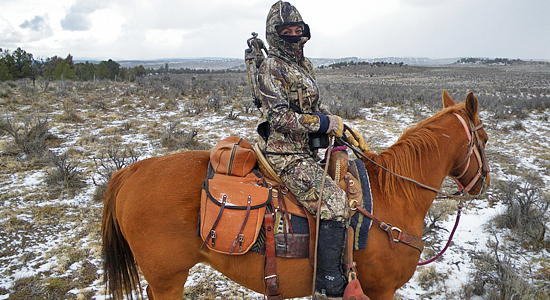 There are multiple advantages to horseback hunting. You can cover ground more quickly than a hiker. You can carry more gear than with a backpack. You can get further into the high country, aka “the good spots” than someone who is day hiking. The horses will be able to pack out a thousand-pound elk without you straining a muscle. Ask your outfitter about recommended gear. They may have a maximum bag size, similar to that of the carry-on limit for airlines. They may also have suggestions for boot size. Some large winter boots will not fit into stirrups. Make sure you discuss this so you don't have any hangups on the trail. A tip some may not tell you - Buy a pair of cycling pants or shorts to wear under your camo. They will help prevent soreness for those whose bottoms are not accustomed to a long ride in the saddle. Preparing for high-mountain hunts is important for your success as well as for your safety. You’ll want to get in shape for ascending and descending steep terrains at high elevations, but you’ll also want to prepare for a long ride in the saddle. 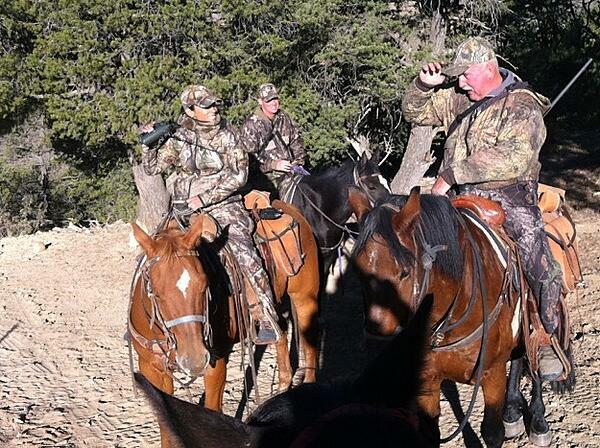 These tips apply to any high mountain hunt, and should be added to the requirements for horseback hunting. Be healthy and be in shape. *Always consult a physician before beginning any diet or workout routine. Eat healthy – A healthy life requires healthy eating. You may be tempted by potato chips, brownies and soft drinks, but they really do nothing more than satisfy a momentary temptation. They also do not give you any energy for the work out routine you’re embarking on. An alternative would be homemade sweet potato chips, a choice of dried fruits mixed with nuts or fruit infused water. Get rest – A big complaint, or rather excuse, for not exercising is being too tired. Rest is necessary for your body to rejuvenate after you expend energy. The problem is a sedentary life, or too much rest, leads to laziness. The more active you become, the more active you will want to be. Rest, but get out there and DO SOMETHING! Exercise* – WAIT! Look at that word again “exercise”. It sounds easy huh? Or maybe it sounds SO complicated. Well, it IS easy and it doesn’t have to be complicated. Find activities you enjoy. Run, swim, walk, hike, do aerobics, go to yoga classes. The list of things you can do is endless. Don’t even try to make excuses! Sitting a horseback uses more muscles than sitting in a recliner. You’ll be using your legs and core muscles for balance. 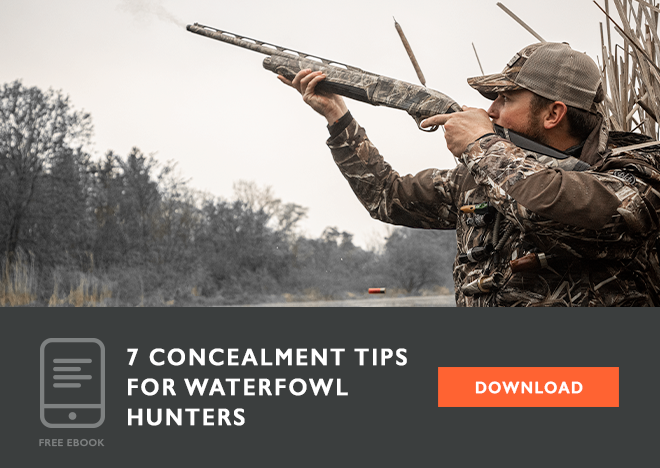 Here are some suggested activities you can do to get in shape for hunting season. Yes. I said ride a horse. What better way to get prepared for a horseback hunt, right? It’s okay if you don’t have your own. There actually are places you can go rent horses for trail rides. Horseback riding burns 700 calories per hour. While you’re burning calories, you will be strengthening your core muscles as well as the large quadriceps and hamstrings. An added bonus, you’ll learn to behave properly around horses. Run on a treadmill, elliptical or other exercise machine. You say you don’t have one? Not a problem. Many of my hunting friends make do with their loaded backpack and the high school track. Not all of them run. Some simply pace themselves for a brisk walk. The key is to get your heart rate up. Climb hills and other things. Another great idea for the high school field is to climb the bleachers. Do this with a loaded pack. Wow, will you be doing your entire body a favor! Climbing mountains will strengthen core muscles as well as all of your leg muscles. Wearing the pack will prepare you to balance the added weight while in the field. Don’t have a dog? Walk the neighbor’s dog. Hey, you could even take a walk with your child. How about that idea? That’s called “family fitness”. Oh wait, your excuse is that you “don’t have those either”? Not a problem. Yoga bands are less than $20 at most sporting stores. You can also grab some cans, jugs or bottles from the pantry. VOILA! You have instant homemade weights for the price of dinner. Do squats, lunges, overhead presses, bicep curls and tricep extensions. There really is no excuse not to be in shape. Find the activities you enjoy. Design a routine you will stick to and do it at least 5 days a week. Remember to rest. Get in shape. Happy hunting!